Olive Pink Collection. Water colour and pencil on paper sketched by Olive Pink, Jay Creek, Northern Territory 27/12/30. Identified by Olive Pink as Loranthus miguelii "veins in leaves lighter and more yellow than leaf - flowers bright red"
Pink, Olive 1930 , Olive Pink Collection. Water colour and pencil on paper sketched by Olive Pink, Jay Creek, Northern Territory 27/12/30. 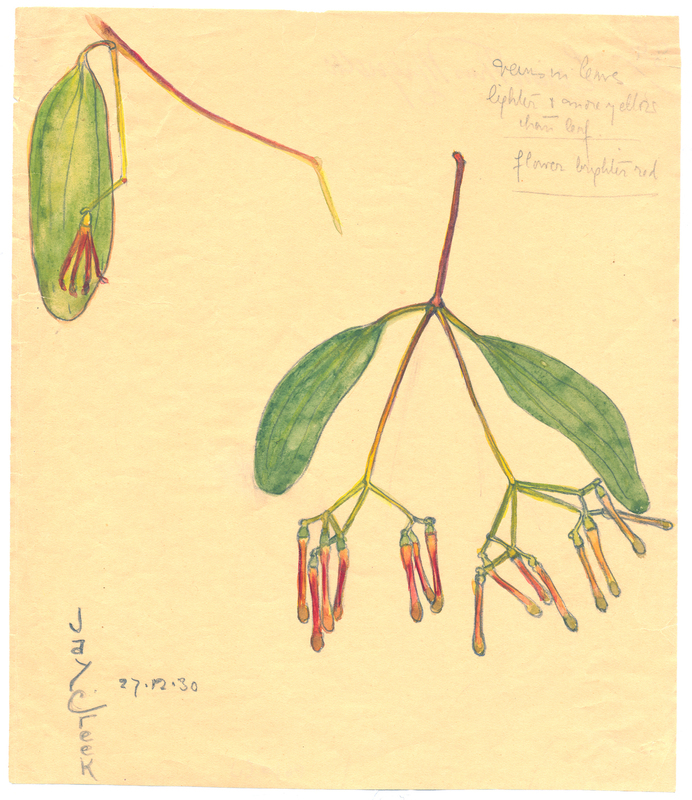 Identified by Olive Pink as Loranthus miguelii "veins in leaves lighter and more yellow than leaf - flowers bright red" , University of Tasmania Library, Special & Rare Materials Collections, Hobart.